Poland is a country that has only recently started to discover its love of coffee. Due to trade restrictions under the communist regime, Poland previously only had access to meagre amounts of coffee and could only source Robusta beans. Since 1989, with the inauguration of a democratic republic and the liberalization of trade, the Polish people started to rediscover coffee with most of the population falling in love very quickly with instant coffee. By the early ‘90s, the Poles were consuming about 2 kilos per capita annually. Between the late ‘90s and the early 2000s, coffee chain shops appeared across the country and have been booming ever since. 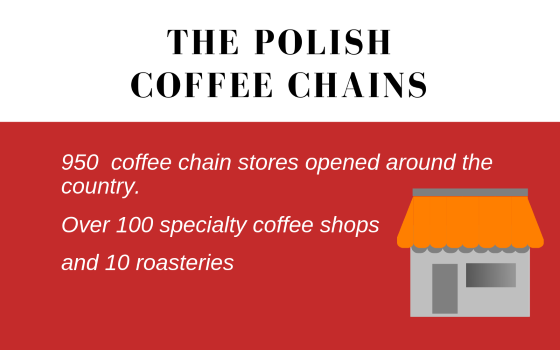 Coffee shop chains are, by far, the major players in the Polish coffee market. 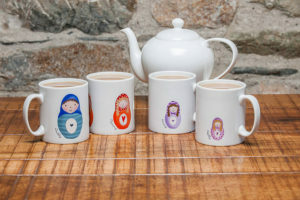 Costa Coffee (previously known as Coffee Heaven), Starbucks and Caffe Nero are thriving and opening new stores every year as Polish people are quickly moving away from instant coffee, searching for a fresher product made out of Arabica beans. 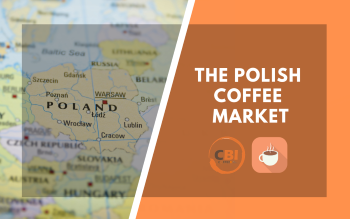 The Polish coffee market is forecasted to grow over 6% every year until 2021 when it is expected to have over 950 coffee chain stores opened around the country. Although Poland has started to enjoy coffee only recently, it has already gone through the first 2 waves of discovering coffee and is now well into the third. Since 2010, all over the country and especially in Poland’s biggest cities, Warsaw and Krakow, specialty coffee shops began to appear. Poland now has over 100 specialty coffee shops and 10 roasteries, a very active competitive scene for baristas and a coffee festival. Even though specialty coffee makes up only a little over 1% of the market, Polish people are starting to move away from the idea of coffee as just a habit and heading towards a well-researched, single-origin taste and new brewing methods. Coffee consumption per person has not increased much and is estimated at 2.3 kilos even though prices have not increased much with an espresso costing on average 1.55 euros and a cappuccino 2.44 euros. 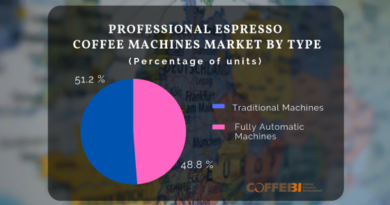 In conclusion, the Polish coffee market still has a long way to go to catch up with the rest of the Western world, but it has great potential and the local population seems to be ready to close the gap and embrace all of the westernized customs revolving around coffee. Are you approaching the Polish market, or do you need to extend your business? 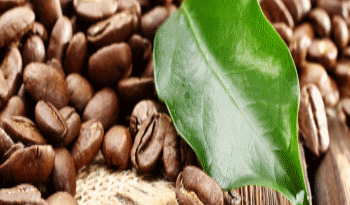 Order a tailored report on the Polish coffee market. Contact us.